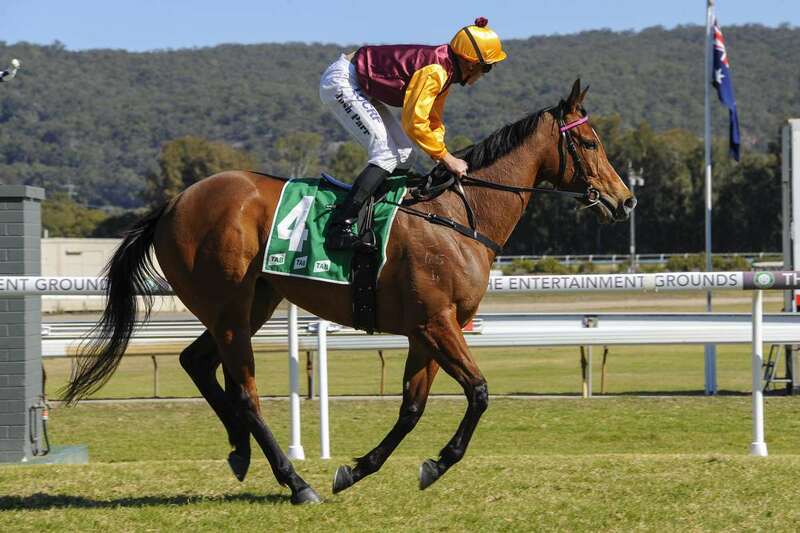 Local Gosford trainer Angela Davies is having a sensational run at present and is set to continue when she saddles up Queen Ablaze ($3.70 favourite on TAB fixed odds) in the Floratine Foliars Handicap over 1100m at Gosford on Wednesday. Having had an amazing 17 winners (34%) and further 13 placings (60%) from her past 50 runners, there is no stable more on fire in the region and her four-year-old Duporth mare looks to add to that impressive tally on her home surface. She has drawn trickily in gate one, but has the services of Josh Parr who saluted on the mare over the same track and distance last August. “Gate one is not always the best on a wet surface up here, but hopefully she can be third or fourth in running and then it’s up to Josh to get her off the fence,” Davies said. Another in-form local trainer Gregory McFarlane has two live hopes on the card, with his six-year-old gelding Clear The Beach ($31) dropping back from two stronger Provincial Championships heats in March. A Saturday metropolitan winner two years ago, the Sharkbite gelding has struggled for form this time in, but gets his chance from the inside draw with Christian Reith aboard. McFarlane will have bigger fish to fry at Royal Randwick this Saturday with two qualifiers in the lucrative Polytrack Provincial Championships Final in It’s So Obvious ($26) and Golden Tycoon ($8). The two-year-olds compete in the Syngenta Provaunt Plate over 1200m with Godolphin again having a strong hand to take out the juvenile event. The James Cummings team has had an unforgettable season with their babies, which culminated with the quinella in the Golden Slipper at Rosehill last month, and will line up two runners in Jetski ($2.70 fav) and Shaibanat ($21). Gates open at 12pm with the first race scheduled for 12.50pm.